Here’s my track record with the Pitch Perfect films. The first one surprised me, with an incredibly catchy soundtrack and the right dose of heart. The second movie was funny, sure, and featured some nice songs, but didn’t live up to the first. And now it’s up to this movie to either end the trilogy on a high note or continue the downward spiral. 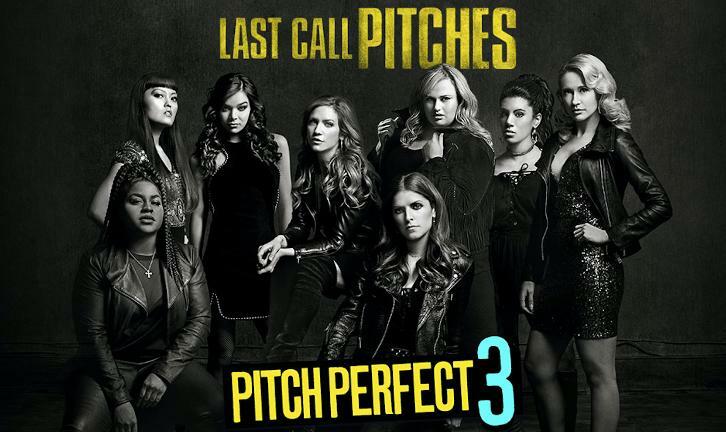 Beca (Anna Kendrick) reunites with her college a capella group, the Barden Bellas. To do one last show together, they travel on a tour performing for the troops. It turns out this tour is actually a competition held by DJ Khaled to find a new opening act, so the Bellas now must sing their hearts out. Among the Bellas we have Rebel Wilson, Brittany Snow, Anna Camp, Hailee Steinfeld, Cynthia Rose, Hana Mae Lee, Kelley Jakle, Shelley Regner, and Chrissie Fit. A few cast members are absent, including both Beca and Fat Amy’s former romances. They’ve added a few new faces, including John Lithgow as Fat Amy’s father and Ruby Rose as the lead singer of a competing band. This is movie is a comedy first and foremost, and luckily it works most of the time. You’ll laugh plenty here, though the absence of Adam Devine is a big hole to fill and I don’t think anyone really manages to replace his energy here. The arc for Beca (Kendrick) was satisfying in that it built since the first film, though the other characters get much less to do. They try to give Fat Amy stuff to do but her plotline isn’t as successful. While the movie is funny, it’s not as funny as the previous movies. I am thankful though that they stopped going to a few places, like they toned down the ridiculous Lilly moments (the girl who whispers things) and the crazy things that Flo would say (the Latina member who joined in Pitch Perfect 2). These moments became grating already and are absent here. However nothing really fills the void, so the movie is funny but nothing really special. 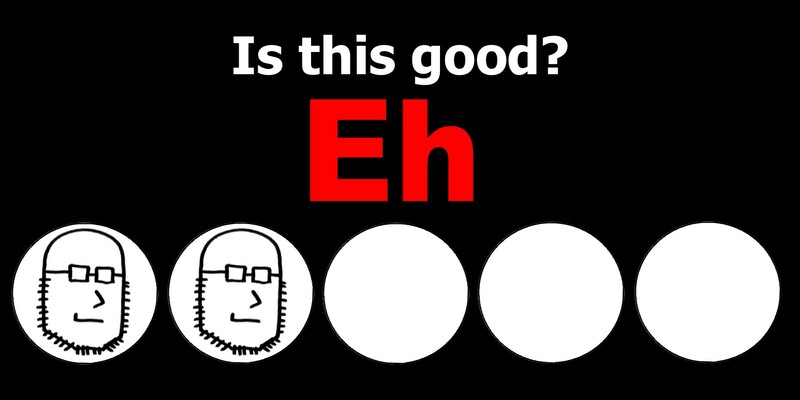 Likewise the music is good, but it’s not as good. There isn’t a single track that you’ll likely remember as a standout number and it just feels a little more subdued. The movie also makes an effort to illicit emotions towards the end, about this being the finale in the trilogy, but it didn’t really affect me at all. It felt hollow, especially considering some major changes like removing all of the romantic interests (both Adam Devine and Skylar Astin are absent). This feels like a spinoff, like an unnecessary stand alone adventure, not the culmination of a long journey. The emotional moments were flat and ultimately disappointing. Pitch Perfect 3 is a disappointing end to the series, removing a few key pieces and failing to fill the void. The music isn’t as good as past movies and it’s ultimately not as funny either. The movie attempts to give us a big emotional sendoff but it feels hollow, going out with a whimper rather than a bang. This entry was posted in Movies and tagged adam ryen daniels, anna camp, anna kendrick, brittany snow, chrissie fit, dj khaled, elizabeth banks, ester dean, hailee steinfeld, hana mae lee, i am your target demographic, iaytd, john lithgow, john michael higgins, kelly jakle, movie, movie review, movies, pitch perfect, pitch perfect 3, pitch perfect 3 review, rebel wilson, review, reviews, ruby rose, shelley regner. Bookmark the permalink.